SUCCESS STORIES FROM AROUND THE WORLD. I DO WHAT I DO, FOR YOU. “Jen is not only a genius at creating a rich inner and outer world, in life and business – and supporting others in doing the same – but she also brings a vibrant and generous energy to everything she does." "Jen is not only a genius at creating a rich inner and outer world, in life and business – and supporting others in doing the same – but she also brings a vibrant and generous energy to everything she does. Journeying with her will take you far." "Jen Mavros will spark a light in your soul and put a fire in your business that you never knew you had!" "Most of you know my love for affirmations, positive energy and lining up with your blessings. Well I will tell you, Jen Mavros will spark a light in your soul and put a fire in your business that you never knew you had! Jen Mavros is phenomenal and literally fills my soul with love. She’s all about love and light, energy and positivity. She will give you the tools you need to pull abundance into your life. I hope you have people in your life who love you so much that they won’t let you falter. They don’t accept your excuses, no matter how justified they may be. They know you are meant for greatness. They know the impact you are destine to create. They intrinsically can feel your energy, and truly they call you out on your BS. This is always from a place of love, not judgement. I cannot tell you how blessed I am to have the beautiful Jen Mavros in my life. There is something about this woman who just gets me. She is my safe zone, my spiritual guru, and my very very dear friend. "Jen has helped me to tap into the divine source within myself. My family and I will always be in abundance because of the techniques and lessons that I have learned through her. I feel more me than I’ve ever felt in my entire life. I don’t know what could be better than that. "Jen Mavros is a divinely guided, kind hearted soul who has the voice of angels." "Jen chaperoned our group, at a live event, through a powerful, soul-connecting experience where a powerful question came to me...’How can I be Love?’ And immediately the answer came to me ‘You already are’. Reflecting on this I now see that Jen was able to activate this deeply buried theme that I was unaware of and it continued to reveal itself more fully. Jen’s generosity in her wisdom, inspired ideas and gentle guidance in our conversation was truly heartfelt and I am deeply grateful that she is following her own path and brightly lighting the way for others." A Creative Expression Art Piece by Nicole Hohn - Inspired by her experience with Jen. "I asked a question during the eye gazing ‘How can I be love?’ And during that time the answer came to me ‘You already are!’ That’s when the tears started rolling! The background colour was intuitive, there is dressmaker tissue pattern in the background also, that represents breaking old patterns and there is some sizing from small up to XXL that represents playing small to living large. The wings are from my drawing collection and I loved the contrast of the black and white flowing shapes coming from the heart.... that represents both challenges and opportunities. The yellow and blue feathers felt like your influence and the big pink heart also felt like a connection to you." "Jen is a woman you need to know because of her ability to stir your soul." "As a ‘soul-preneur,’ Jen Mavros’ mission is to love humanity forward, and you can feel it the second you get into her field. She is an astounding vessel of love. I had the opportunity to experience one of her meditations in October – it was pure and utter blissful heart opening. Jen is a woman you need to know because of her ability to stir your soul." "There have been almost too many life-shifting experiences with Jen in the short amount of time she’s helped me, that my mind is kind of blown open!" 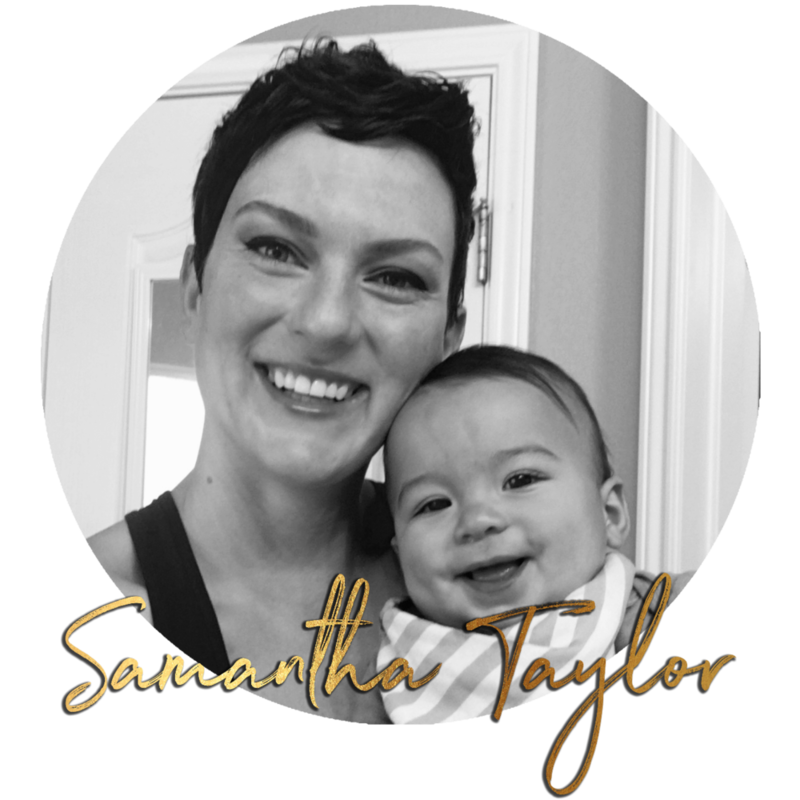 “I’ve been ready to make some big leaps in my business and success, and Jen’s experience combined with her insane level of love, infectious humor and desire to give support made it a no-brainer to ask her for support. There have been almost too many life-shifting experiences with Jen in the short amount of time she’s helped me, that my mind is kind of blown open! 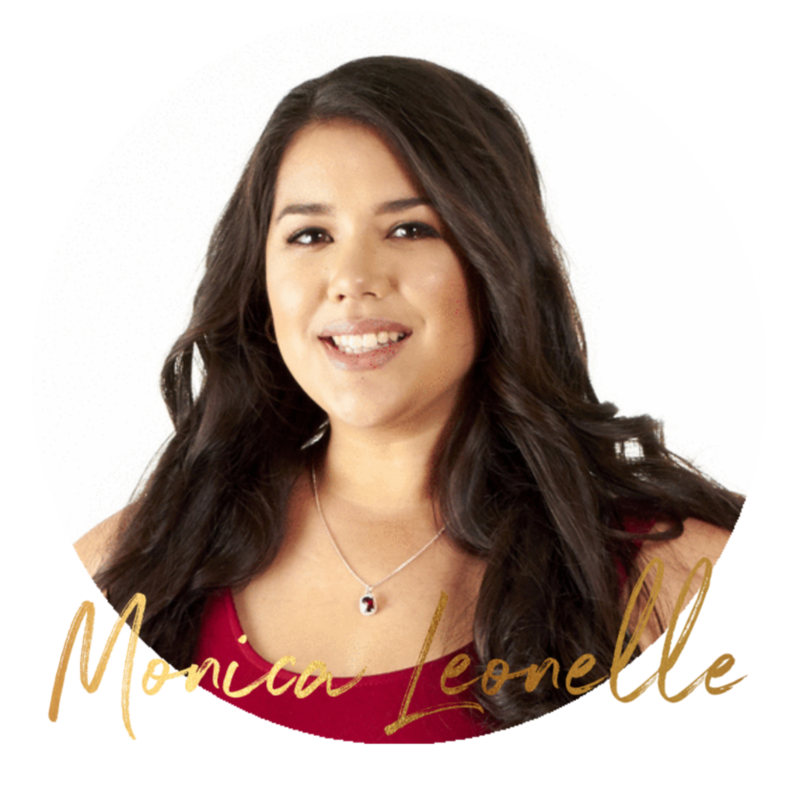 From helping me manifest major exposure opportunities in magazines, getting published on HuffPo, to a new home in less than 48 hours – her methods are truly aligned with Source. I feel there will be some Quantum Leaps in the work I’m doing and the impact I’m having that I won’t be surprised if I win a Grammy in the next two years! From using her practices consistently, I have no doubt that my message will be heard by millions over the next few years & for that I am eternally grateful. Jen really has such a huge heart & desire to help others reach a new level of being an awesome human on this planet and live an amazing life. As she truly lives what she teaches – she’s the living, breathing example that this isn’t about manifesting a ‘laundry list’ of toys, but it is about experiencing, having and being everything we have ever desired so that we can fulfill our purpose on this planet. Working with Jen is a miracle, and I can testify to the power of her practices. “I manifested a little over $20,000 within 48 hours." “My heart overflows with gratitude to have Jen in my life as a teacher and a friend. My world has been turned upside down in the best way possible. I’ve been honing in my manifesting muscles, and each day I’m doing the work Jen has taught me to create my dream business and bring forth my soul partner. And the better I get at these skills, the more abundance keeps showing up in my life. "Jen oozes compassion and makes me feel genuinely held in a way that I have never experienced before..."
“I have overflowing love, respect, and admiration for the incredible Jen Mavros. Jen oozes compassion and makes me feel genuinely held in a way that I have never experienced before from someone I consider both a mentor and a friend. From the second I met her, she had this magnetic pull on me, straight to her heart. Learning about manifestation from the master herself, Jen’s method is not only simple but it also gets you to connect with yourself to uncover what you truly desire. Most importantly, she taught me to start acting as if I already had everything I was trying to manifest, which definitely makes me feel like anything is possible! "The work of Jen Mavros has completely shifted my world. Jen teaches me, by example, what true Manifestation and love really is." "The work of Jen Mavros has completely shifted my world, with her deep soul searching, her courage to stay aligned with truth, her humbleness to accept, and to channel such profound wisdom has awaken within me a true respect for her and her work. Not many people walk the walk and she truly does. I am a witness to her pure soul and her passion to love and serve others. She will do what needs to be done to hold a loving, supportive and powerful space for YOU. I am so blessed to have been a witness to this amazing human being. I've laughed, cried, and remembered my truth. Jen teaches me, by example, what true Manifestation and love really is. Thank you Jen, for being such a light in my life and a light to others." "If you want to succeed in the marketplace today, you’ve got to have someone in your corner who knows what to do, AND genuinely cares about you. Jen gets the HEART and SOUL of purpose driven business and why that matters. It’s tough to find both in one amazing woman. Jen’s your woman." "Before I started working with Jen, I was feeling overwhelmed, bogged down and I wasn't sure how to take the next step in my business. I had broken down physically and emotionally and I was really worried about keeping balanced. Through working with Jen, I was able to continue getting healthier, continue dropping weight, opened up my ability to receive more abundance in all aspects of my life and to trust myself more. I manifested $18,000 of unexpected cash, she connected me with other resources that supported me in stepping up to a higher level of functioning. Jen helped me in a holistic way, by growing myself, growing my business and getting organized. Although I have been a mentor and coach to others over the years, this was my first experience of being on the "receiving" end of being coached and mentored myself. Can I just say, that it's made all the difference in my life and business!" “Jen is an example of strong feminine leadership. She is strong and fierce but at the same time so soft and warm with this light beautiful energy that envelops you in love. I felt such a resonance with her and knew she would be able to help me - here was a sister that just GETS IT! “You have changed my life more than I could ever explain and you continue to give me the tools I need to grow on your podcast. I love you SO SO much." "Holy Moly! I went into this program insecure and an emotional wreck. I was experiencing all sorts of emotional struggles and fears that were infiltrating every aspect and relationship in my life, especially my business. Now I have my “shiny new set of tool” to break down the blocks in a healing and understanding way so that they don’t go back up again. I have loved learning about myself and coming into an understanding of why and how my mind works the way it does…. Understanding that it’s not all concrete and that I can be in the driver's seat of my own life. I have loved this and I will take it again as soon as it’s offered. In the meantime, I’m telling everyone I know about the course. It’s like finding the sweetest pair of workout pants and the best sports bra or the best mascara… Gotta tell all of my friends so they can get in on the awesomeness too! I went from restless and confused to joyful and intentional. On days that I feel like I’m slipping, I know how to get back on track and how to interpret what I’m feeling and where it’s coming from. I’m happier and clearer on what I want in my life, who I want in my life, and I’m more confident. I know that it’s my divine right to be happy and abundant. No guilt necessary. My biggest takeaways focused on belief. Belief in myself, belief in all good things, belief that I DO INDEED manifest things constantly, regardless if I know I am doing it or not. Strengthening my belief in my own power to control my future is KEY, and Inward was a perfect conduit for me for gaining the strength I need. I’ve been focused on manifesting a way to support myself financially while cutting back hours in my job in order to grow my dōTERRA business. I had NO IDEA how this would happen since I support myself and the rent had gotta get paid somehow, right? Inward helped me get super clear on what I wanted to manifest, taught me how to remain open to the outcome and trust the process. I’m absolutely gobsmacked that halfway into this program, I was presented with an opportunity that would pay all of my bills and allow me to focus on my business while having a blast! So….what did I do first thing? I gave it away, of course. I was only halfway through the program and my immediate go-to action was to think that I wasn’t enough, or I didn’t deserve this amazing offer. They didn’t give up….they wanted ME! I finally accepted and will now have time and support I need to properly grow my dōTERRA biz! The Inward Program was the best decision I made this year. I knew it was time for me to get off the sidelines and start rockin’ my biz, but I didn’t know how. Jen taught me how to get clear, how to hit the reset button on my mindset, and how set goals and be wholeheartedly accountable for my actions. I want to have a business that changes people’s lives, and I couldn’t do that without changing my own. Inward gave me the tools I need to grow myself and by doing so, grow my business. “Jen has taught me to enjoy and celebrate the little things, and appreciate all of life’s challenges. She has gotten me to dig deeper into myself than ever before and see things (good and bad) that I never even knew were there. She has also given me the tools to face and celebrate these things. I have learned that it’s okay to be me, and my journey is uniquely mine. Everything is unfolding as it should, and I don’t have to worry. I would recommend this program to everyone! I feel like I learned more about myself and how the universe works more from this program than any other time in my life. I feel like I’ve been dancing around all of these principles, but this program brought it all together for me, and my life will be changed forever because of it. My life is just better now. I feel totally different. I can honestly say that I feel joy now… And sadness. I have lived my life just stuffing emotions away, not really feeling anything. Because of this program I have found joy and even bliss, and it’s amazing. I have also found other emotions like sadness and anger, but I have the tools now to let those emotions move through me and out, instead of keeping it all in to fester and make me sick. "Jen Mavros is my AMAZING mentor and friend who has truly changed my life! I have felt so much growth and gotten so much out of these calls and the homework! "Jen Mavros is a true light in this world and you can’t help but blossom in her presence. In the company of her fiercely bright heart and radiant energy, I’ve never felt more supported or seen. In addition to the warmth and wisdom she effortlessly infuses into every interaction, Jen never ceases to amaze me with the wicked smart business strategies she brings to the table. She’s a rare combination of soulful and savvy, and I can’t thank her enough for the many gifts she’s brought to my life and business." "The word magnificent falls short when I think of Jen Mavros' work and personality. Hands down one of the most humble, compassionate, giving, hilarious and gentle souls that I know of. But, don't be fooled by her gentleness. This woman knows business and everything you need to know to take you where you want to be. Mama doesn't play around when it comes to business, living and thriving at your fullest potential. She's full of love, acceptance, compassion and belly laughs (and cry at times). She always makes sure that I see in myself what she sees in me...a human being equipped with Divine gifts and extraordinary potential. I believe she sees every single human that way, and her soul's mission is to make sure that not only you know that, believe in it, and most importantly act upon it. Make no mistake Jen will absolutely have you create and co-create a life and a business that you will adore. Trust me!!!" "Thank you Jen Mavros, there is no one that is more loving and caring and genuine in her words than you. I probably speak for everyone in this group, we feel your love for each of us and that means so much. I am so blessed to be in this group learning and growing with you and the others. Thank you for being an angel in my life. I am loving the changes that are happening in my personal and professional life. I want to share this with you and hope you take advantage of this wonderful opportunity. I promise it will be life changing and something you will LOVE! It helps you learn to be comfortable, being uncomfortable and makes you stretch and grow. This program has done more for me than you know. It was exactly what I needed to help me with some challenges I’m going through. I want you to know that my relationship with my younger son was struggling and it is now improving because of this training and other areas I am working on. So thank you, thank you, thank you for being so wonderful and gracious of your time and talents." "Jen is an extraordinary soul who makes you feel lifted from the moment you speak with her. She is incredibly in tune with each of her clients and is one of the kindest people I’ve ever met. She is your go-to lady for massive, positive transformation in all areas of your life. She is such a blessing to the world. Hire her while you still can." "10 weeks ago, if you were to ask me what it is that I like about myself, you would hear...crickets. I've gone through a good amount of my life faking confidence and when people got too close or ask too many questions, they suddenly become not so good friends anymore. You could count on me to be the Best Friend and be a shoulder and be there to pour your heart into...but don't ask about me. That's just not important. Ask me now, and the desires, passions, appreciation and love in my life are aplenty! When you come to know and love yourself, you see all the potential in people around you and you realize, it isn't about you anymore. I came to know this because of Jen. I was terrified of what she would stir in me and it wasn't an easy journey, but it was done with so much care yet mild discomfort. Jen gave me dozens of tools and helped me not overthink any and all situations like I did before. I now have a way to simmer down my reaction before everything spirals out of hand and I go back to self criticism. Breaking this cycle has been amazing!! It's changed my motherhood, my marriage, my friendships and my professional surroundings. My mental state is no longer a dark hole of comfort to slip into. It is a wide open, glorious ocean of wonder and peace. And joy. I never thought I would know joy in this way. I LOVE loving myself. Everyone deserves that feeling." Within a few days of speaking to her, I identified this deeply obscured story about my life and my beliefs that had been holding me back for so long. For about six months before my session with Jen, I had been spinning over endless questions, dream interpretations, and so much more. I had "come online" to a new level of spirituality that took me by surprise, that I didn't even necessarily ask for! So much had awakened in me in what felt like the flip of a switch—one minute I was safely and happily in the dark, the next I had access to another dimension. I felt confused, scared, and afraid of where the path was taking me. I resisted this awakening for months, until I finally realized that you can't exactly shut off your soul! I started embracing it, recording my dreams, checking in with my energy, and learning more about my options—but it wasn't enough. I came to Jen at a high point in my stress and worry over all of these questions that had awakened in me. To be honest, I had never done energy work and I felt skeptical. I've always been a "logical" person, whatever that means... but I was beginning to encounter problems that couldn't be solved at the mind level. With logic failing me, I looked for someone to help. I wasn't sure about this work but I felt desperate for answers. I chose Jen because I wanted someone I could truly trust through the entire process, from beginning to end. I felt so grateful after the first intake call with her, when she explained the process and took notes about my questions. She assured me that what I was experiencing was actually quite normal and she knew exactly how to handle it. She was right! From the moment I booked my energy cleansing session with her, I felt a sense of relief even though it was still a week or two away. "Answers are coming," I told myself. The next time I spoke to Jen, she took me on an incredible journey that answered SO MUCH for me. I took five pages of notes during our call. I cried. We confirmed several things that I had an inkling about, that Jen couldn't have even known about beforehand. I asked a ton more questions about what she had seen. During the whole thing, Jen held an incredible space for me, explaining everything in great detail and making me feel safe in sharing some of my deepest and scariest experiences. We ended our call and I took some time to process. During this time, Jen was so sweet in her followup and made sure I knew that if I needed help with anything, I could contact her. Within a few days of speaking to her, I identified this deeply obscured story about my life and my beliefs that had been holding me back for so long. This was a story that had caused me trauma as a child that I then carried forward into my adult life. The beliefs that I had from this story had caused me to callously walk away from the love of my life at 20 years old, and to begin believing and acting like I couldn't love, couldn't be loved, and was overall a bad person. When I traced these beliefs back all the way, I realized that they were formed as early as a few months old and reinforced for the first 13 years of my life. Knowing all of this helped me heal and clear that energy. I felt incredible. After only one session, we had sussed out an entire core wound, traced it all the way back to 3 months of age, and tracked down a number of the limiting beliefs that stemmed from it! I felt like I had hit the jackpot, to be honest... cutting down an entire diseased branch of a tree instead of just trimming a few twigs and leaves. The elation of moving beyond this core wound got me very excited. I know that *this* is the work I need to do to continue down this new path of spirituality. Jen informed me that I have so many guides around me, and only need to ask for help. I decided to do so, and what happened next was incredible. Over the course of about 4 days, I received vivid dreams, often waking up in the middle of the night to record them only to fall back asleep and have a second dream to record a few hours later. I slept like crazy during this week! Through these dreams, my guides showed me trigger after trigger, almost like a laundry list of wounds still remaining to address. Finally, I felt like I had a map to guide me on this awakening! After the laundry list had been made, the dreams stopped and haven't started up again. Right afterward, my energy increased significantly. I started a new business and it's been moving forward speedily! I've also noticed my intuition increasing. I know and feel more than I ever have before, even from people in my life who are great distances away. Jen has been so loving as she guided me through all of this and I'm really excited to dig into more with her going forward. It's crazy to me that I spent six months trying to figure it out myself and couldn't, but in one session we accomplished so much. I loved working with Jen and I can't wait for our next session! "Through Jen's eyes I see the depth and beauty of my own soul. This is the way she shows up in the world--as walking inspiration. She encourages me to be a better person just by being and calling me to meet her in that space. Jen's absolute faith and belief in Oneness allows others to experience themselves as Divine parts of the Universe and then she willingly and lovingly provides the tools and a clear path to live from that place. It is very rare to meet someone with the capacity to love and nurture souls like Jen Mavros, and I am grateful in every moment that our paths have intersected." “ The Inward Program was exactly the kickstart I needed to launch me into the right spiritual and emotional state of being in order to be more successful! The healthy habits established during the program have benefited every aspect of my life and I feel a better person because of it! "She helped me get to where I'm at. She was what kicked me up off the sofa and out of my comfort zone. I'm so grateful for that. "Jen is one of the most gentle and good spirited people I have ever met. Her thirst for knowledge and passion for the mind/body/spirit connection are contagious. She truly loves to bring light and encouragement to others. One of the biggest things I've learned from her is to tap deeper into myself and really find what it is that brings me joy. Through her, I have learned to cope with ongoing anxiety by meditation, and I have also learned about the benefits of using essential oils on a daily basis, and what it means to live a healthier lifestyle by incorporating organic non-GMO foods into my diet. Jen is intuitive, accepting, and dedicated. She has a wonderful combination of professionalism and confidence, and every chance I get to speak with her is time well spent. She leaves me feeling supported and empowered. It's an honor to know Jen!" “I am so eternally grateful for her wisdom and guidance." "This Lady is quite the gift. I have grown because of her. She has taught me so much and shown me such wonderful life tools. I now use these tools in my personal life and in my business. I am so eternally grateful for her wisdom and guidance."